A working day at the school commences with the morning assembly. 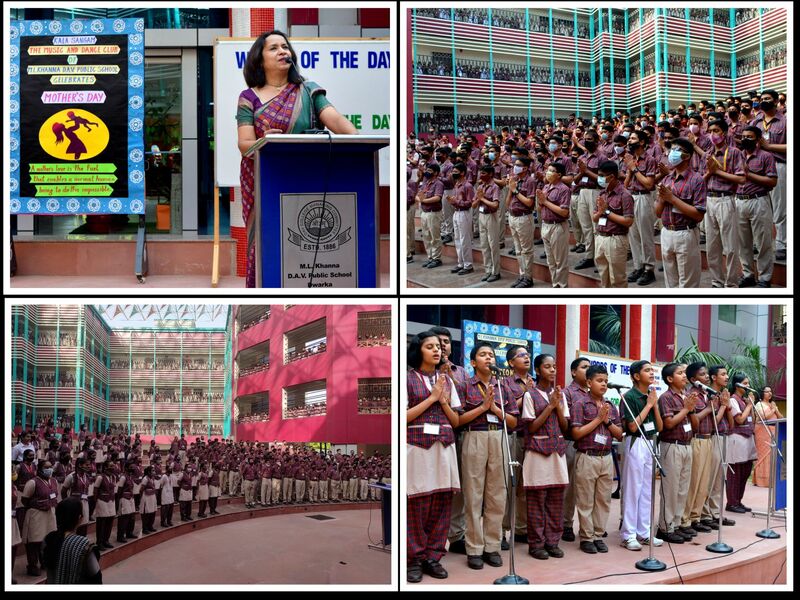 Recitation of Vedic Mantras in the morning assembly exercises a very ennobling influence on the minds of students. One of our teachers gives training in the recitation of Ved Mantras and students do the Ved Path. The school choir lends its grace and solemnity by singing devotional and patriotic songs. Short talks are given on a variety of subject such as hygienic habits, good manners, social service, great lives and important happenings in India and abroad.